Shinsaku Fukayama of St Ali and Danny Wilson of Ona Coffee have advanced to the final rounds of the 2018 World Latte Art (WLAC) and Coffee in Good Spirits Championships respectively. The World Coffee Championships began on 7 November and will conclude on 9 November Brazilian time. For Shin’s WLAC routine, he presented a snail design for his art bar pattern and a series of animal designs for his preliminary and semi-final performance. His routine concept is focused around happiness and the importance of customer service. Shinsaku and Danny will compete in the final round of their respective championship on 10 November Australia time. Yama Kim of Kingswood Coffee in Sydney is representing Australia in the 2018 World Cup Taster Championship. In the quarter finals, Yama correctly identifyied eight out of eight different coffees in six minutes and six seconds. 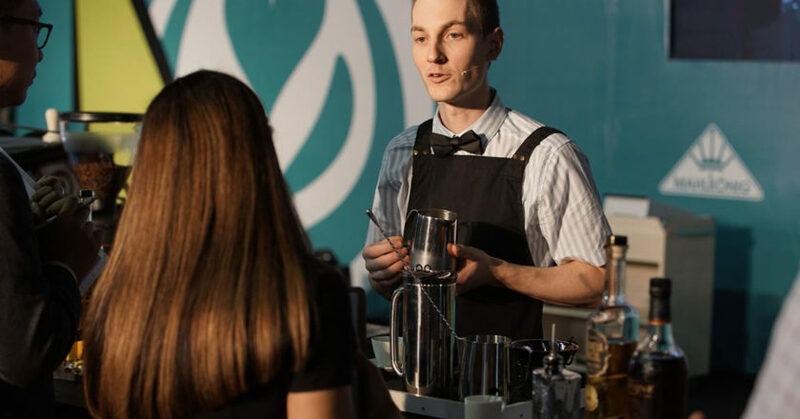 Heath Dalziel of Third Time Lucky also represented Australia in the 2018 World Brewers Cup, and made it to the semi-finals. Heath’s performance focused on colour and how it helps communicate flavours to his customers. Heath has worked for several years creating light projections for music and light events, and that was part of his inspiration for his performance.